Disclaimer: Please note that many of the links below for food photography resources are affiliate links which means that we earn a commission if you use the links provided. This is at no additional cost to you. Are you curious and ready to learn more about growing your blog? The most in-depth, valuable, and worth while resource I have found regarding starting and growing a blog is from Food Blogger Pro. Food Blogger Pro is a membership site that offers over 350 videos covering topics ranging from Getting Starting to Search Engine Optimization. Photography lessons are covered in detail by Pinch of Yum’s Lindsay Ostrom. Want to learn about making videos with your recipes? Food Blogger Pro has you covered. Curious about how to best use social media to promote your blog? Check that off your list too with informative videos and short courses. No detail is left unsaid and no question is too small. The Food Blogger Pro team is there to answer questions, provide support, and to help you improve. I wish I had joined years ago! You can join by the month or yearly. I am a yearly member and value the active community that is central to the value of this membership site. 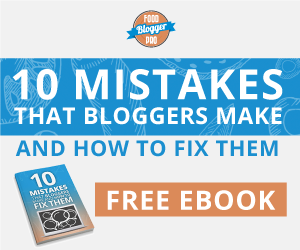 You can post questions on any blogging issue or topic and members and the FBP team are there ready to respond. Membership is only open a few times a year. 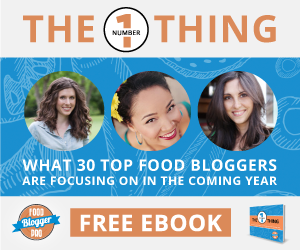 Join the Food Blogger Pro Waiting List today! Want to learn more? 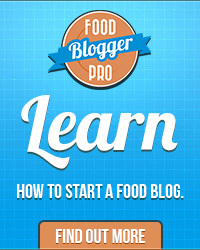 Read this post where I share 7 reasons to join Food Blogger Pro! Domain Name: You’ll learn in Food Blogger Pro that there are some basic steps you’ll need to accomplish to get your blog up and running. One of the early steps is registering your domain name. I started A Baker’s House in 2011 and have been a customer with NameCheap from the get go. On their site you’re able to search for a domain name and purchase it (or transfer a current one you own to them). Adding the WhoIs Protection to your domain is an easy (and important) step through NameCheap. I renew both my domain name and WhoIs Protection in one payment every year. Hosting: A Baker’s House uses Agathon for hosting and I couldn’t be more satisfied. Agathon feels like a partner to me. They specialize in WordPress hosting and offer starter plans through professional plans to grow with you as your business expands. Agathon has been patient with my questions and informative in their responses. I’m excited to grow with them! A Baker’s House runs on the Genesis Framework with Foodie Pro by Feast Design Co. as its child theme. Think of Genesis as the foundation and then Foodie Pro is the custom home built upon this solid base. There are many themes to choose from but Foodie Pro has been my choice for a number of years. The focus on displaying food photography in a clean, elegant manner, as well as the option of crafting a Recipes Page without needing a WordPress guru to do it for me is what drew me to this theme. 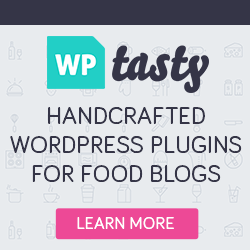 WP Tasty: WP Tasty offers three plugins for WordPress blogs– Tasty Recipes , Tasty Pins, and Tasty Links. I have found Tasty Pins to be a game changer in my ability to easily and quickly upload my long style pins to Pinterest. Tasty Pins adds this functionality directly into the area where you write your blog posts in WordPress. You simply upload the Long Pin, add the text you wish to see appear along with your pin, and hit publish. WP Tasty allows you to add specific Pinterest text (separate from the Alt Text section) to any photo that is pinned from your site. It also gives you the option of marking specific photos as “not pinnable”. 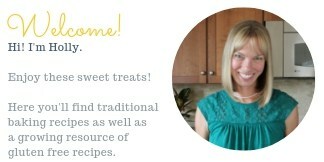 The recipe card in use presently on my site is Create from Mediavine. This recipe card plug in is free to use for publishers AND non-publishers of the Mediavine family. Read more about Create here! Tailwind: Tailwind is a marketing app for Pinterest. You can use it on your desktop or on your phone and it will reshape the way that you view Pinterest. Recently I joined Tailwind and it’s exciting to dedicate time and effort towards my goal of expanding my interaction on Pinterest. Tailwind creates the ability to schedule your pins. You will save valuable time while creating a more consistent approach to sharing your content on Pinterest. Start with the free trial then, if it is a good fit for you, upgrade to their PLUS program for full access. This link will give you $15 credit towards your first year; I’ll also earn a credit if you sign up. You’ll want your website to load as fast as possible. One way to do this is to utilize the tools provided by WP Rocket. I use WP Rocket on A Baker’s House. It helps with caching, site performance, and a host of other features that speed up my site like magic in the background. There are tutorials and documentation that walk you through common issues as well as a support team you can contact as needed. Are thinking of making Long Pins for Pinterest? You’ll need to use a photo editing program to do so. PicMonkey, Canva, and Adobe Photoshop are all good options. I use Photoshop to make my long pins 735 px by 2058 px. A photo of the recipe is placed at the top, another at the bottom, with a text rectangle in the middle. Using two photos is ideal but if you only have one favorite photo of a particular recipe, you can make that work too. Simply enlarge one of the photos to be a close up and leave the second photo section as is. Check out my Pinterest Boards to see the style and content I find most effective. I recommend the Adobe Creative Cloud option that provides both Lightroom CC and Photoshop CC for a monthly (or yearly) rate. I am able to edit my photos in Lightroom CC then use Photoshop CC to create long pins for Pinterest. There is a learning curve to using Adobe’s programs, and I’ve had great success following the tutorials provided within the program. Food Blogger Pro has also been a great resource for learning more about the details of Lightroom CC and Photoshop CC.